Accessories – Ranger Pumps Inc. In addition to our 4 series of pumps and their driving options, customers have the option to choose between a multitude of bushing and packing options. The Quad Lip Seal is a packing option utilized exclusively by Ranger Pumps. It gives zero leakage similar to the mechanical seal, and if the double lip seals wear out, the backup packing can be tightened down to get zero leakage and continue pumping. Ranger’s External Bypass is primarily used for tanker trucks. It diverts the fluid flow to alleviate excess pressure. It functions as a safety device as well as a quick lever for opening and closing the external bypass. The External Bypass is available for our 11, 17, and 22 series pumps. 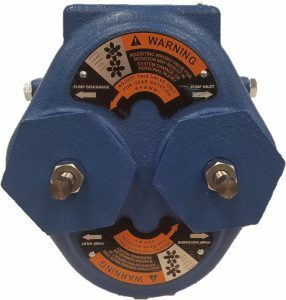 Ranger offers a double relief valve for our Series 11, 17, and 22 pumps that will provide protection in both shaft rotations. The double relief valve will continue to protect from over-pressure even when the shaft rotation is changed and the pump’s flow is reversed. The double relief is field adjustable and works similar to the standard RV. Bronze- Ranger’s standard bushing when a liquid product has lubricating properties. Temperature limits are from *0-300 degrees Fahrenheit. TFE/Carbon- For temperatures between 35 and 127 degrees Fahrenheit, the TFE bushings can provide additional service life in applications where the standard bronze bushing may react to certain products. 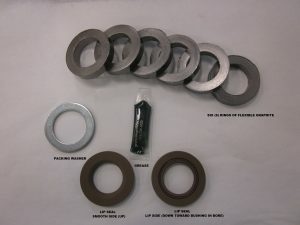 Iron- These bushings are normally used when pumping abrasive liquids. We recommend derating the pump RPM and pressure to 50% of maximum. Ranger’s close-coupled gear reducer option (discussed on the main pumps page) is uniquely qualified for our mounted pump system. 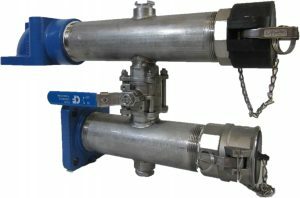 The mounted pump system is available for our 11, 17, 22, and 48 series pumps. More information is available by clicking the link below. Mechanical- Mechanical seals are leak-proof and mostly utilized in industrial applications. However, if a mechanical seal wears out, it has to be replaced immediately. Available in buna, viton, or teflon. Quad Lip Seal– As stated above, the Quad seal is not only leak proof, but field adjustable. If a leakage occurs, the Quad Lip Seal can be tightened down. Because of this, it is the longest-lasting packing option. Packing- Offered in acrylic fiber impregnated with TFE, TFE/Graphite, pure TFE, and DSA, the packing is not leak-proof, but can be tightened down in a similar manner to the Quad Seal to prevent having to dismantle the pump completely. Each pump’s shaft is offered in steel or stainless steel. Stainless steal is utilized more for chemicals or any sort of corrosive products. Barring those conditions, the standard steel model is more than capable of handling a variety of applications.